Each year we write a Bucket List of things we would like to do or achieve through the year. It’s a list that prompts us to do things and something we love crossing off as the months go by. 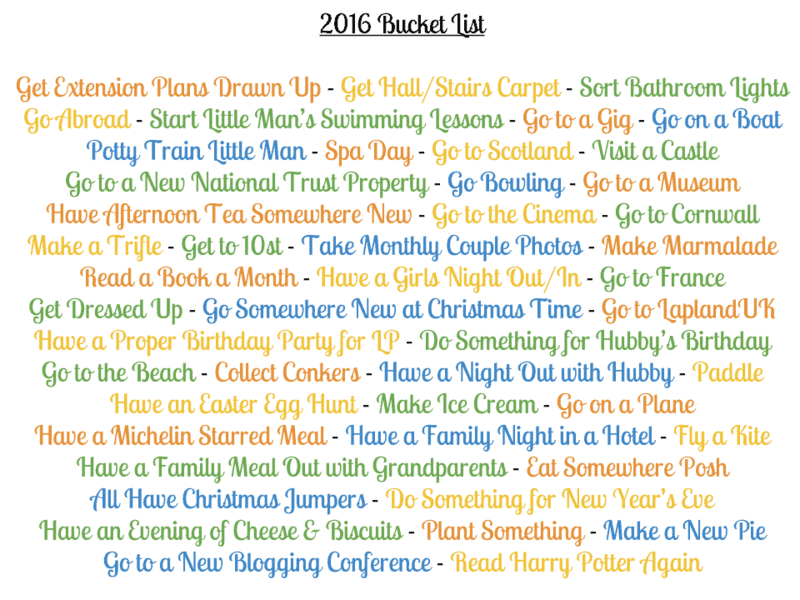 This year is no different and here is our Bucket List for 2016. Like the last couple of years, this list has quite a lot of variety to it. It has things for the children, things for us as a family and things for Hubby and I as a couple. It also has experiences, things to cook, places to go and social things too. Do you create an annual Bucket List? If not, what would be on yours? That is such a great list! When it gets warmer you’ll storm through some of them if you managed the few you did this month! Well done ??? ?